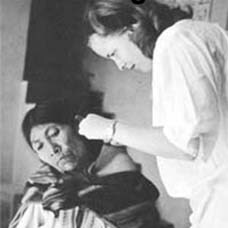 Peace Corps Online: January 10, 2005: Headlines: COS - Bolivia: Safety and Security of Volunteers: Lowell Sun: "I don't think (the Peace Corps investigator) did the job." said the grandfather of missing Bolivia PCV Walter Poirier. "You don't find leads unless you're out there beating the bushes." January 10, 2005: Headlines: COS - Bolivia: Safety and Security of Volunteers: Lowell Sun: "I don't think (the Peace Corps investigator) did the job." said the grandfather of missing Bolivia PCV Walter Poirier. "You don't find leads unless you're out there beating the bushes." Peace Corps Online: Directory: Bolivia: PCOL Exclusive: Missing PCV Walter Poirier III (Bolivia) : Special Report: Missing Peace Corps Volunteer Walter Poirier III: January 10, 2005: Headlines: COS - Bolivia: Safety and Security of Volunteers: Lowell Sun: "I don't think (the Peace Corps investigator) did the job." said the grandfather of missing Bolivia PCV Walter Poirier. "You don't find leads unless you're out there beating the bushes." "I don't think (the Peace Corps investigator) did the job." said the grandfather of missing Bolivia PCV Walter Poirier. "You don't find leads unless you're out there beating the bushes." Family members of Walter J. Poirier, a Peace Corps volunteer from Lowell who disappeared in Bolivia almost four years ago, are still frustrated with the slow pace of the investigation into Poirier's fate. "As far as I'm concerned they haven't done too much," Poirier's grandfather, also named Walter Poirier, told The Sun yesterday. "I don't think the search has been adequate." The February 2001 disappearance of Walter J. Poirier, then 23 years old, sparked a comprehensive federal review of the Peace Corps' treatment of its volunteers. The U.S. Government Accounting Office found that Peace Corps workers such as Poirier were often thrust into unfamiliar and dangerous countries with little or no direction or protection. A subsequent investigation by the Dayton (Ohio) Daily News reached the same conclusion. The Daily News also reported that Poirier may have been killed over a debt, quoting a former Bolivian investigator. It was one of the few leads that has emerged in the case. 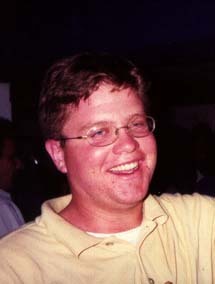 In June 2004 forty months after Poirier went missing the Peace Corps, under pressure from Massachusetts legislators, agreed to hire an investigator to probe his disappearance. But the Boston Globe reported yesterday that the investigator may have failed to sufficiently pursue a recent story from a victim of a May 2004 kidnapping who said he heard his abductors discussing Poirier's death. Ramiro Machaca, 22, said he was held for six days in Bolivia's Zongo Valley, where Poirier had been stationed, after he overheard two of his fellow employees at a local electric plant saying they had buried Poirier's body in a mountain pass above the valley, the Globe reported. A formal criminal complaint was filed against the two men, but they have not been charged. Walter R. and Sheila Poirier, the missing man's parents, expressed to the Globe their frustration with the process. "We are perplexed as to why the (U.S.) embassy (in Bolivia) and Peace Corps have not embraced this lead," they said in an e-mail. "The Poirier family cannot forgive the Peace Corps for their irresponsible practices, which we feel were largely responsible for our son's disappearance." Walter Poirier, the grandfather, echoed that sentiment to The Sun. "I don't think (the Peace Corps investigator) did the job." he said. "You don't find leads unless you're out there beating the bushes. I get so frustrated when I think about it." Representatives from the Peace Corps and the US embassy could not be reached for comment. Walter J. Poirier went to South America in August 2000. He was trained in a rural area in the Andes Mountains, about 30 miles from Bolivia's capital, La Paz. The cabin he lived in had no telephone the Peace Corps could only reach him by calling one of six nearby hydroelectric plants. On Jan. 31, 2001, Poirier caught a ride to his remote site in the Zongo Valley, three hours away. Peace Corps officials were unaware that he had gone missing until they received a phone call from Sheila Poirier on March 4 of that year. The GAO report stated that Walter J. Poirier's supervisor allowed Poirier to "drop off (his) radar screen," then lied about not knowing where Poirier was to avoid being blamed for the disappearance. Tom Spoth's e-mail address is tspoth@lowellsun.com . It has now been 4 years since our son disappeared, and there is still no resolution of his case. There is no information coming out of Peace Corp and none coming from the Bolivian authorities. It has been a constant battle to keep our son's disappearence from being shuttled off into a corner and his service in Peace Corp from being discontinued. It has proven an embassasment to Peace Corp, as it should have, however, the Senate ducked when asked to approve a separate Inspector General, and push for increased safety vigilence by Peace Corps. To everyone who has aided us, prayed for Walter, and constantly supported our efforts, we say thank you. As long as there is one of us carrying Walter's memory, we will continue to prod and push Peace Corps into finding out what happened to him, and try to make them insure that this situation never happens to a Volunteer again. The Poirier case is an example of shoddy work by PC staff. The equivalent would be for a state tourism agency to put a recent college graduate on a bus and send him/her to a remote valley to develop tourism without any resources at all, not even an introduction to local leaders. The counterpart structure was zilch.